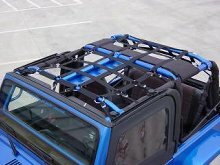 Same as our full rack but only covers above front and rear seating areas where the full rack drops down to wheel wells. 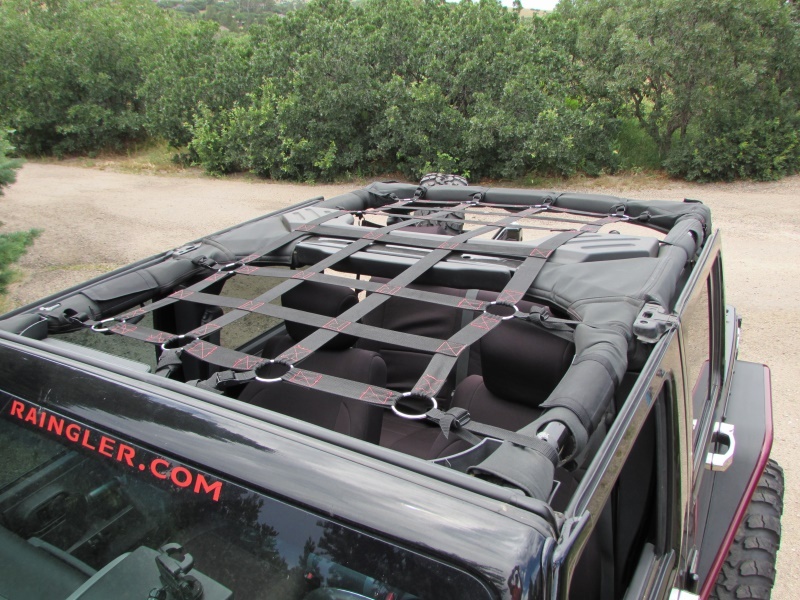 Fits below all OEM style and many aftermarket tops. Full MILSPEC UV rated 2200 PSI polyester zero stretch even when wet webbing. Full stainless steel PVC coated rotation rings for load adjustment and military black coated cam-buckles. 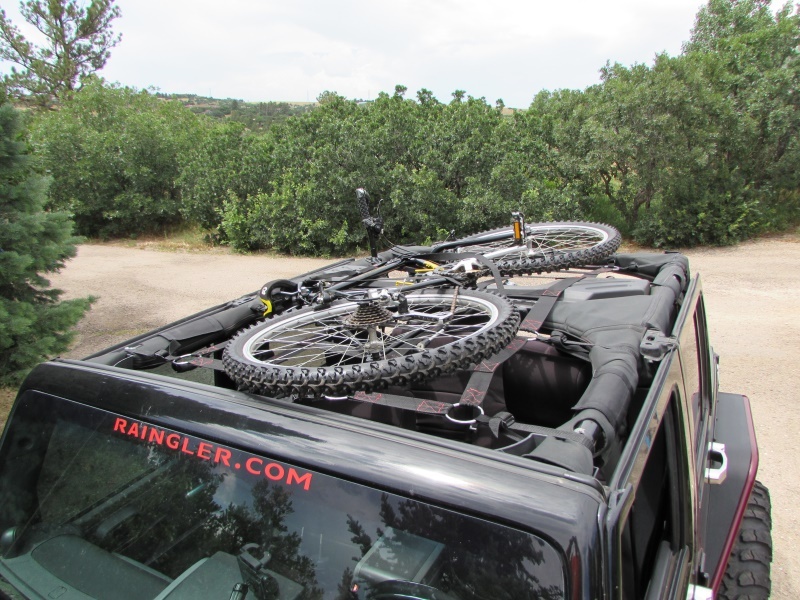 All Raingler products are hand built in Colorado and offer 10 year UV and rust proof rating, MOLLE compatible products and a Lifetime Limited Warranty to original purchaser. Our nets are designed with maximum visibility looking out and longevity. Net measures approx. 34" x 50". 2" webbing.